Hand weaver of fine linens, clothing, accessories, blankets and wall art. Specializing in bamboo, silk, wool, linen, copper and silver, her beautifully textured weavings are collected around the world. Meet Christine Johnston during Artists in Action, part of the Pacific Rim Whale Festival. She also participates in the Tofino Artist Studio Tour. 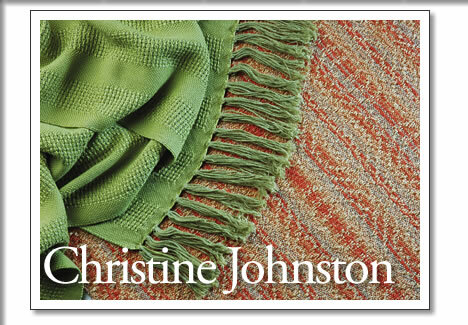 Tofino artist Christine Johnston weaves fine linens, clothing, accessories, blankets and wall art.